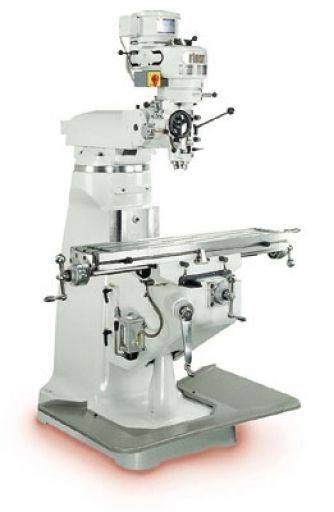 High-quality, precision machinery for the home machinist or small fabrication shop. After speaking with a number of home metalworkers and machinists - we kept hearing this complaint. "It's really hard to find good quality, precision machinery that isn't way too big or needs 3-phase power. All the smaller 240V machinery is cheap and poorly built." We don't think that's good enough. So we're introducing a range of tough, high-precision machine tools ideal for the small workshop. Big on power without needing 3-phase. These high-quality, transportable bandsaws accurately cut metal up to 150mm at a fraction of the cost of a cold-cut saw - without the sparks and messy finish of an abrasive saw. Extremely versatile and reliable, Femi bandsaws are ideal for everything from hobbyist use and onsite work for contractors to heavy industry applications. 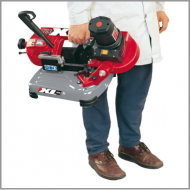 Weighing just 16kg - the Femi 782XL is easy take it out of the workshop and onto the job. 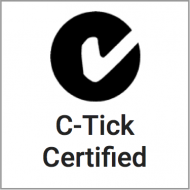 Make clean, accurate cuts without ever needing lubrication. There's also no sparks and clean-up is quick and easy. Cutting at angles and mitering is dead simple - you can quickly adjust the saw to cut at angles up to 45°. The capacity for such compact saws is remarkable. 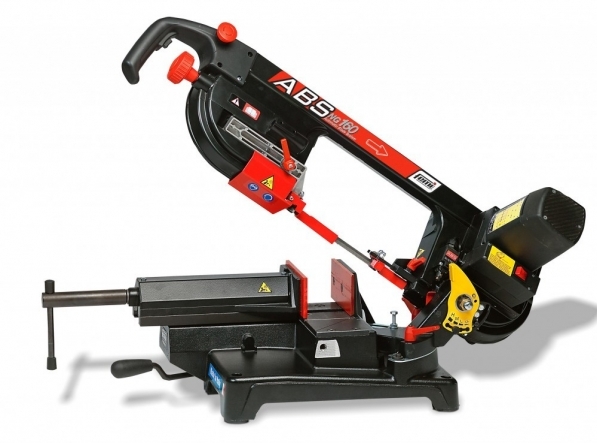 The Femi ABS NG160 can cut 150mm steel with ease. 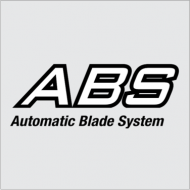 The ABS NG model bandsaws allow the operator to walk away while the saw finishes the job by itself and the NG system allows for 40% - 60% faster cutting than other similar bandsaws. If you’re a hobbyist or model engineer looking for a high-quality, precision bench lathe - Liang-Lei bench lathes are an excellent choice. Single-phase 240V power and the compact size makes them perfect for the home workshop, while the excellent Taiwanese build-quality and precision engineering allows working to strict tolerances. Although the requirements of hobbyists are often less demanding than that of a commercial fabricator - it’s a frustrating experience when your equipment gets in the way of your work. You may only need a smaller lathe, but that doesn’t mean you should sacrifice accuracy and power. 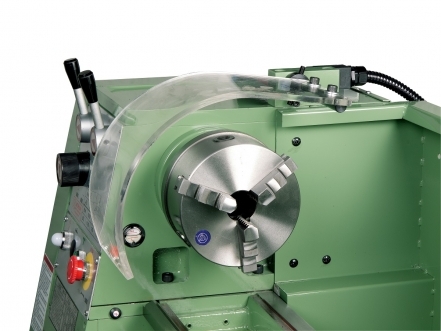 Liang-Dei bench lathes deliver power and precision in a compact package. Tight work tolerances and excellent quality control are the hallmarks of high-quality Taiwanese built-lathes and the Liang-Dei bench lathes are no exception. Investing in a quality lathe saves time and headaches caused by inaccurate machines that prevent you getting the job done right the first time. KTK Pedestal Drills are an excellent, affordable choice for the home workshop or light industrial use. The tough Taiwanese build-quality won't let you down and the 240V single-phase power means there is no need for expensive electrical upgrades. All our KTK drills feature a chuck guard, top cover interlock and E-stop for added safety. Proven reliability and high-accuracy design have made FIRST the leading Taiwanese manufacturer of milling machines since 1959. Now you can get the power and accuracy of a premium, industrial milling machine without needing 3-phase power. Featuring a full-tilting turret head with a unique stronger and more rigid 6- bolt design. A choice of R8 or NST30 Spindle both are hardened and precision ground. Phosphor Bronze double nuts driven on precision leadscrews and backlash are adjustable. Double knee locks clamp the knee firmly and eliminates the lateral rocking motion. The simple and reliable one-shot lubrication used to lube all slideways and leadscrews. A choice of variable speed and 8 steps speed head. 2HP or 3HP motor for variable speed head. 16 speed spindle for step head are available. Gibbed and double-locked RAM design ensuring rigidity and limited clearance between RAM and Adapter. The quill and housing are selectively fitted. It offers extreme high spindle accuracy. The MD-930 is an inverter variable speed gear driven drilling & milling combo machine. 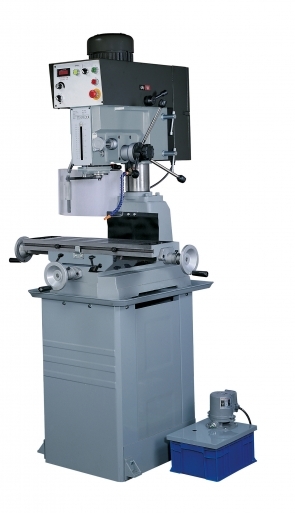 It’s an ideal machine for the hobbyist or small machine shop that needs drilling, milling, tapping and ream functionality without taking up extensive floorspace. Single-phase, 240V power means there’s no need for expensive electrical upgrades. The inverter-variable speed system provides precise selection of speeds between 65 RPM and 2000 RPM - ensuring you can choose the right speed for your work and extend the life of your tooling. The MD-930 is a premium Taiwanese mill drill combo machine designed for accuracy and power. The wide casting column and base provides strong support and reduces flexing to the entire machine, while the premium cast iron work table provides rigidity and improve stability when drilling full capacity - up to 30mm in steel. A user-friendly control panel comes with a speed potentiometer and digital read-out for displaying the exact spindle RPM. The speed potentiometer knobs allows you to quickly adjust the machine to the exact speed required for your job, reducing the chances of damaging tools and work. 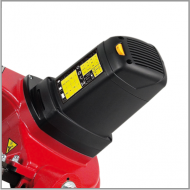 A safety-interlock microguard keeps you protected and shuts the machine down when opened. The wide T-slot helps securing vices, tooling or workpieces well and the machine is also fitted with a halogen downlight. An optional coolant system can provide coolant to the tool, keeping it at a stable temperature and maximising the life of the tooling. Accurate, 730mm x 210mm work table. 32mm capacity through mild steel. Multiple functions: drilling, milling, tapping, boring and reaming. MT3 (MT4, opt.) spindle taper. Inverter variable speed belt driven.